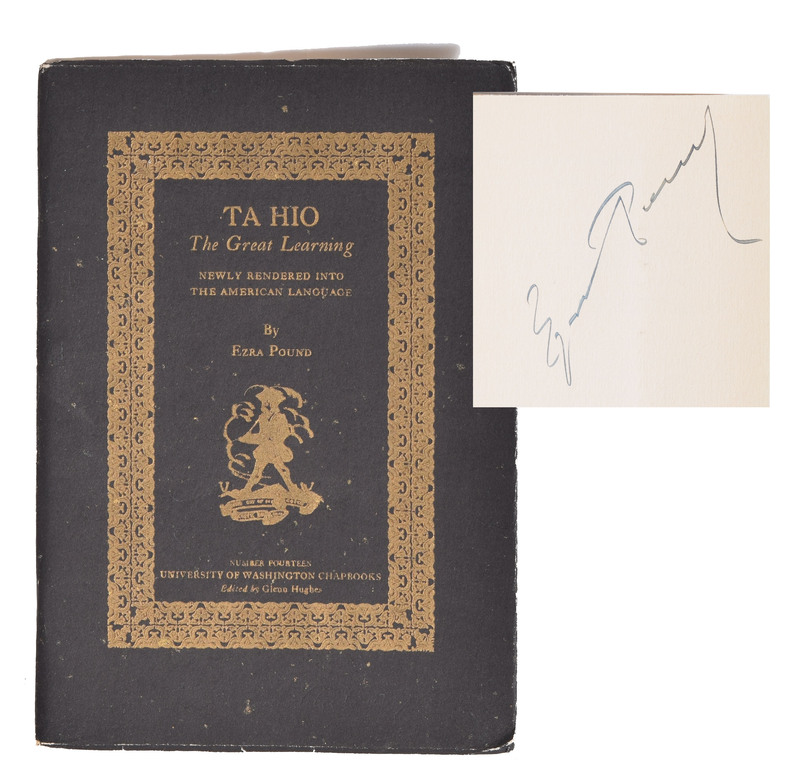 Ezra Pound Signed Ta Hio 1928 .Pound (Ezra) Ta Hio the Great Learning,original black wrapper, uncut, fine condition and scarce only 575 printed. 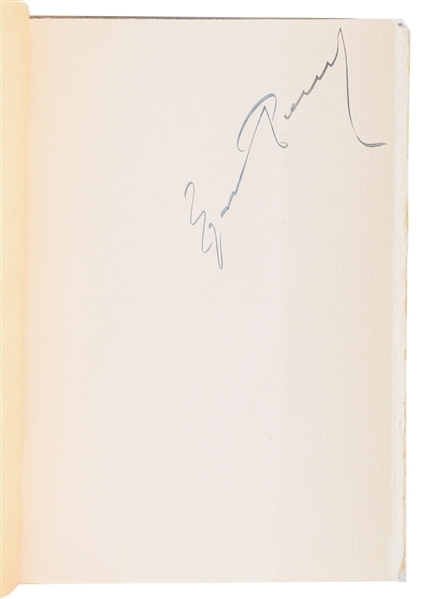 8vo Seattle, University of Washington Chapbooks no. 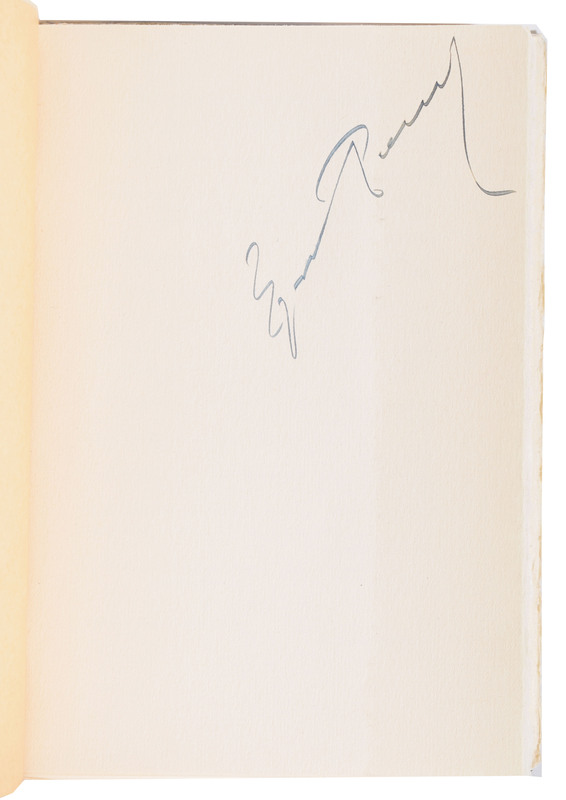 14, 1928 The Confucian classics are customarily divided into the Five ching and the Four shu. 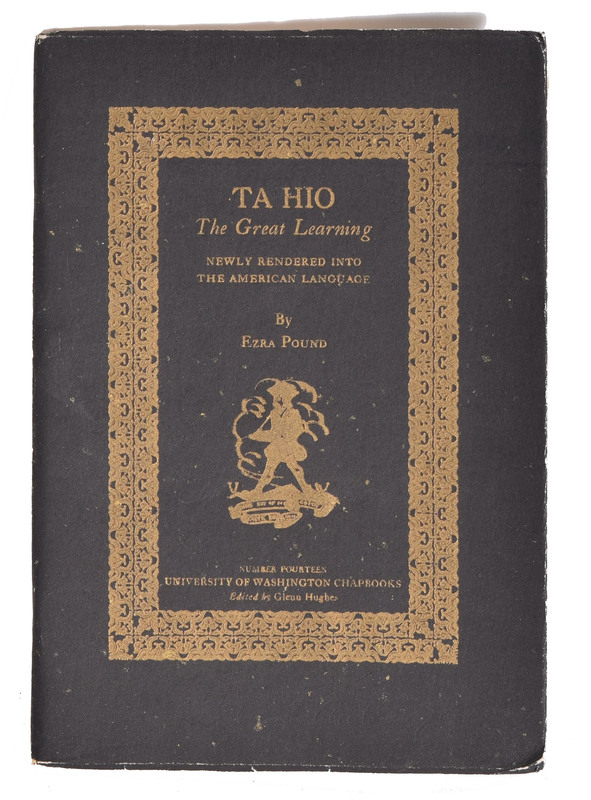 The first of the Four shu (or books) is the Ta hio, a work of which the first chapter is ascribed to Confucius, and the remainder to one of his disciples, Thseng-tseu (Tsang Tzu)." Reprint of the 1928 ed. published by the University of Washington Book Store, Seattle.